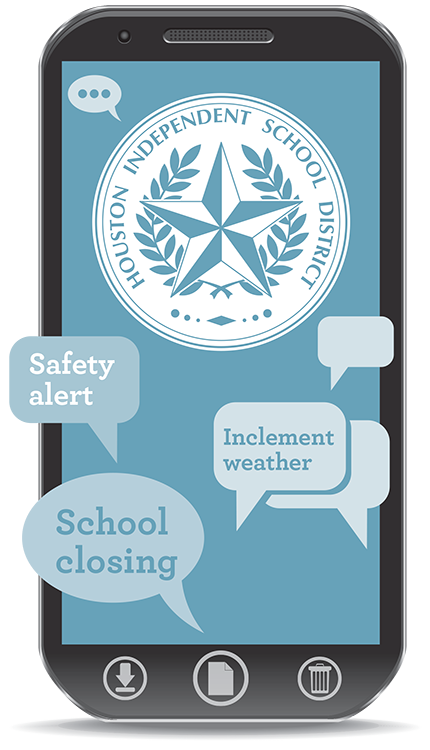 HISD text messaging is a quick, efficient way to alert parents, students, and staff to emergency situations and keep them updated with important news and information they need to know. Note: In addition to signing up for the service, parents and students who wish to receive HISD text messages must make sure their cell phone numbers are registered with their school office and listed in the district’s School Information System. Opt-out at any time by replying “STOP” or “NO” to any message or by texting "NO" to 68453. Reply with “HELP” for assistance. Some providers automatically block text messages, so you must contact them to request that they unblock the SMS (Short Message Service) on your account. *Check with your service provider as additional charges may apply. Your privacy is important to us, and your information will not be sold or provided to third parties.